It’s still a little warm here in Richmond. 91ºF today. But back-to-school thoughts are swirling around my head. And they always take on the colours of fall. In my imagination, there is always a bit of a crispness to the air, too. What will you wear when you return to the hallowed, ivy-covered professors in ivy-covered halls? Here are a few ideas, though not necessarily to be worn together. You’ll need a jacket for those days when the mercury dips into the 60’s as you walk to class. I’d make it one of these. Especially since it’s on sale now. Not hefty enough for your climes? How about adding a quilted jacket to the wardrobe? I’m partial to red, but the classic green would work beautifully, too. Add a schoolboy stripe scarf. 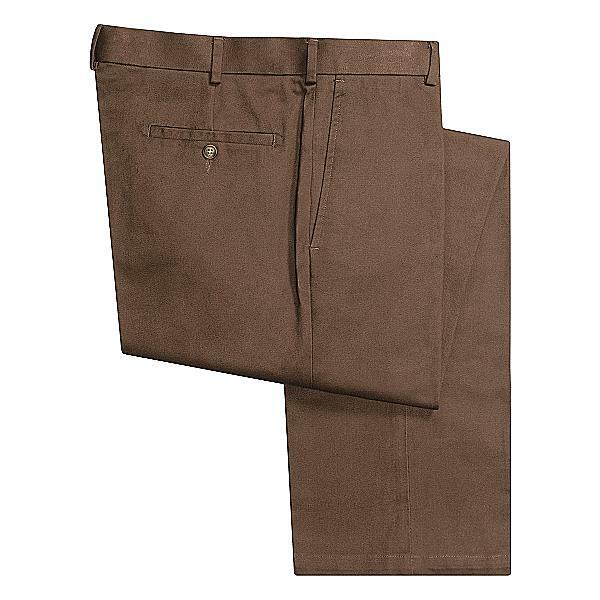 Barry Bricken Moleskin Trousers in Dark Taupe. On sale at Sierra Trading Post. Will you stand out from your denim clad classmates? Oh yes. In a very good way. This entry was posted in Elegantology and tagged back to school, casual clothing. Bookmark the permalink. I want all of these—though my Barbour jacket is orange and needs replacing. Me, too… I did just order the trousers (lived in a rust pair last year) and have similar sweater bought last season. 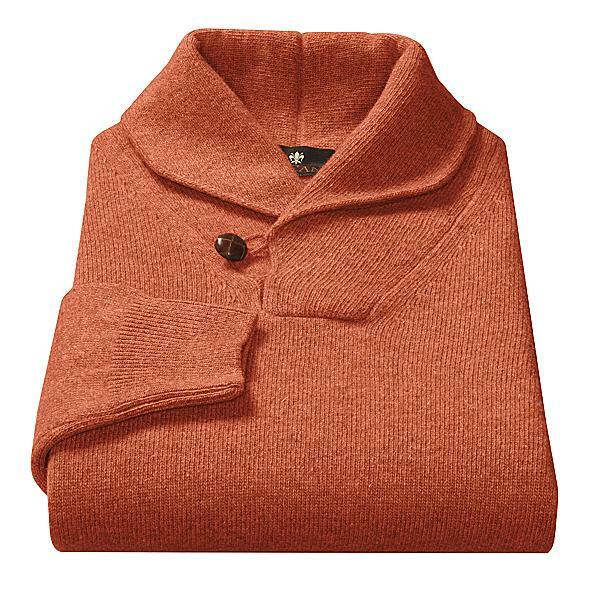 Holding out for the perfect Barbour (orange! that sounds wonderful) quilted jacket. It’s the scarf that throws me. They don’t stock my alma mater and I’d feel funny wearing someone else’s colours. Maybe I could get away with one of Mrs. E.’s..? My Barbour’s navy blue… It’s getting a bit old, but I hate breaking new ones in. It’s in the upper 70’s here. We must be on the right side of the cold front! I covet that linen jacket, which is cruel of you. I’m saved by the fact that it’s almost Labour Day, and linen will go the way of the (putative) white bucks. 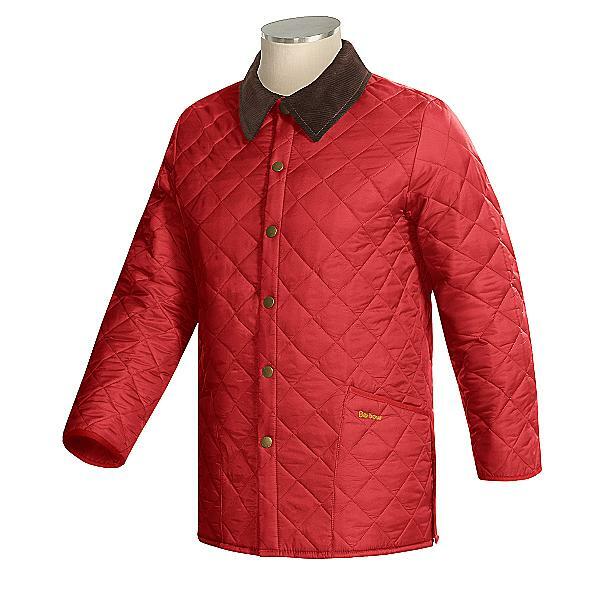 The quilted coat has become an American classic. Thanks Ghengis Kahn! I have a red one with a green corduroy collar that I only wear between Thanksgiving and New Years and stick to my olive green for the rest of the cold months. Mine is black, and one of my favourites, because it’s so cozy and yet, since it’s fitted in the waist, looks quite stylish as well. I can’t say I love the quilted jacket, but everything else I adore. What I’m really loving is the look of that top photo… rugged without being rough. That nice “urban safari” look. Lovely! Thanks TIG! A fitted quilted jacket… leave it to you to find the glamorous version. Hello Ms. Durbin, probably a hangover from my Sloane Ranger fixation. 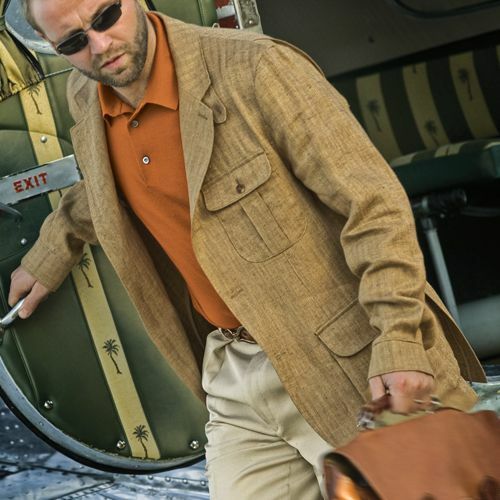 And I’m a sucker for a Norfolk jacket. Nice to see one updated and not as costume-y. Hiya Fairfax, Fred Astaire used to ball up new suits and throw them repeatedly against the wall to take the newness out of them. A little wear is always preferable, isn’t it? The weather broke here, too. Hooray! I love bright colors in the fall when everyone is wearing denim. All it takes is one bright color to make someone smile! Reggie, got a tonne of them. A heavy ribbed orange one included! It goes well with my waxed cotton Barbour. I’ve always had that issue about wearing identifying badges, crests, colours, etc. that I didn’t earn. The exception is in the case of a gift. I was given a Belgian Tank Commander’s flash and a beret by a Belgian tank Commander who worked with my father. I was very proud of it and often wore it to grammar school. The same holds true for a WWI uniform that was my uniform for a brief period before high school when my unease with such displays took root. I suppose I understood better what was involved for those who had reason to wear those elements of dress. 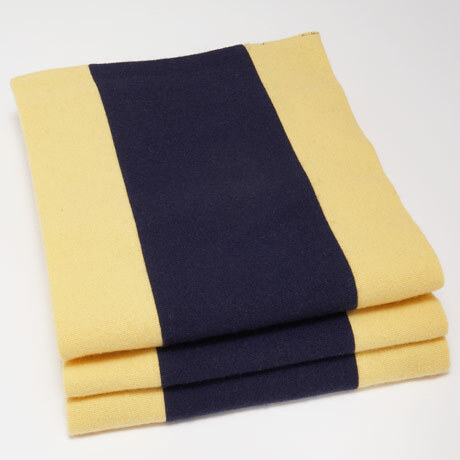 Dear E&E, Per scarves, I have a tonne of them, picked up around the world, but typically, in winter, I fall back on an unfortunately scratchy but perfectly stylish Missoni wool scarf that belonged to an old friend. It has lots of orange, brown, black, cream, and red, so goes with a great deal. Dear AL, All men should have a tonne of scarves. If only because, no matter how carefully we shave, we tear them up. At least that’s been my experience. At present, my favourite is a reversible silk number by Robert Talbott. One side is cream and brown glen check, and the other a gold background with cream and blue open boxes. Worn alone, over a sweater, I still feel well-dressed. And silk seems to hold up better than the wools.